Cain entered the ONE80TC program in April, 2017. As early as 14 years Cain was developing a drug addiction, he came to ONE80TC to turn his life around and hopes to enter the Defence Force. 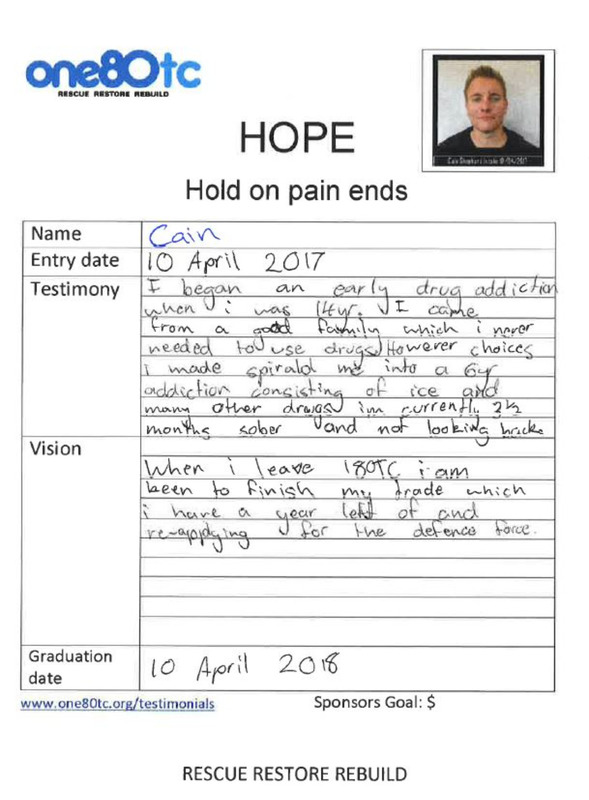 It costs approximately $50,000 to put a student through our full time 12 month residential program and Cain has generously offered his story to help gain support. Please click one of the following riders to pledge support for Cain and the amazing group of guys that have come with them. Jonathon Douglass (Target $10,000) Click here to sponsor me. Steve Zebib (Target $2,500) Click here to sponsor me.